Matthew 10:42 // “if anyone gives even a cup of cold water to one of these little ones…” Jesus kept looping back to our imperative to serve the poor. You have ignore huge swaths of the New Testament to not see that one of the major outcomes of following Jesus is doing something for the last, the least and the lost. 1 in 9 // Nearly 800 million people in the world still don’t have access to clean drinking water. 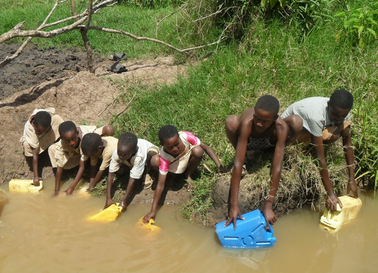 5,000 children die every day from diarrhea caused by dirty water. 50% of everyone in hospitals around the world are there because of water related illness. Progress is Being Made // More people die every year because of lack to access to clean water than anything else but the amazing thing is that we’re making progress! Since 2005 an additional 300 million people have been given access to clean water. You can see the progress! Cooler than a Good Band // When I first started in ministry “seeker services” were all the rage and conversation. I firmly believe that having a “cause” at the core of your church has the same attractional value as cool music did back then. For last Christmas Eve we killed ourselves to pull off an amazing service leveraging Les Mis … complete with broadway singers! It was by far the most creative thing we’ve done at Liquid … and in the end we had 400 first time guests! However, in just a few weeks we’re hosting a 5k for Clean Water and we’ll probably end up with twice that number of first time guests. Even if Jesus didn’t require Church Leaders to care for the poor … it’s a tactic to increase your church’s reach into your community. Gateway Cause // The clean water crisis is easily understood and the remedy to fix it is within our reach. Who can disagree with bringing clean drinking water to communities in need? There are no moral issues revolving around this issue. Chances to Plug In // Church leaders are always looking for ways to get people connected to the church and water cause has a lot of ways for your people to plug in. You could do mass engagement strategies like Advent Conspiracy or send people to field to help drill a well or you could add it to a special offering to round out your appeal. The need is a great … there are a lot of ways for people to help! Can you indulge me for a minute? My family is participating in our SuperHero 5k to fight dirty water in May. We’ve set a huge fundraising goal … but we’re already more than 50% of the way there! [Could you take a minute a make a donation?] It would mean a lot to me … and help bring access to clean water to some of the world’s poorest.